Whenever an opponent shuffles his or her library, you may look at the top 2 cards of that library. 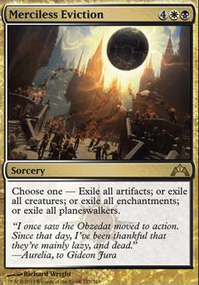 You may exile one of those cards. Then put the rest on top of that library in any order. I like Cosi's Trickster and Field of Ruin. 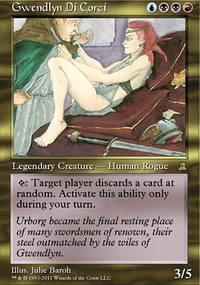 Cards like the trickster and Psychic Surgery might be the way to go for shuffle payoffs. I'm not expecting broken completely, but something consistent, interactive, and disruption centric is the main goal. Lol, already built a PM deck. It is so funny. Far from broken though. Possibly Psychic Surgery? Madblind Mountain and Cosi's Trickster too. Similar for Clone Legion. 9 Mana is quite prohibitive and you can only run a few of that cost. I went for Expropriate for my high cmc spell. Silumgar's Command is a nice versatile hate card. However, it’s a bit expensive at 5 mana. I am not expecting to hold up 5 mana with this deck, so that’s why I did not include it. Silumgar, the Drifting Death is nice, but It doesn’t synergize with the goal of my list, which is to steal by opponents permanents. If I would run a dragon sub-theme, it would surely find a spot in the deck, but that wasn’t the idea I was going for. A similar answer I would have for Archetype of Imagination. It’s a great card, but does not really gel with the strategy of the deck. Telepathy is a card I’m going to consider. Knowing what my opponent’s have could be crucial info to know how to use my steal spells. Ice Cave I would find more fitting in a chaos deck. With this deck I want to have the opposite: control. I did not know about the … of empires cycle. Looks like fun! However, it would require many resources to get them in play all at once. I would rather add Empress Galina for example to get a similar effect as Crown of Empires. Hope this explains my thought process a bit concerning your tips. Thanks gain for the tips, and I'll have a look at your list soon. Do you think that Psychic Surgery could find it's way into a list like this? It let's you manipulate opponents after fetching, and it can interfere with topdeck tutors (unless they have a way to respond to the trigger). 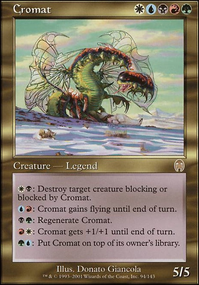 Counterbalance is the core card in this deck style. 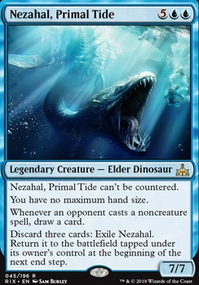 Its worth taking even more budget options throughout the rest of the deck just to play a set. 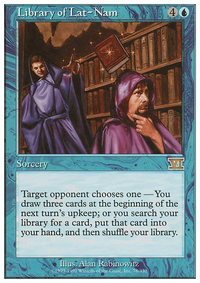 Aqueous Form is too easy to get 2-for-1'd compared to a playset of something like Anticipate or Telling Time. 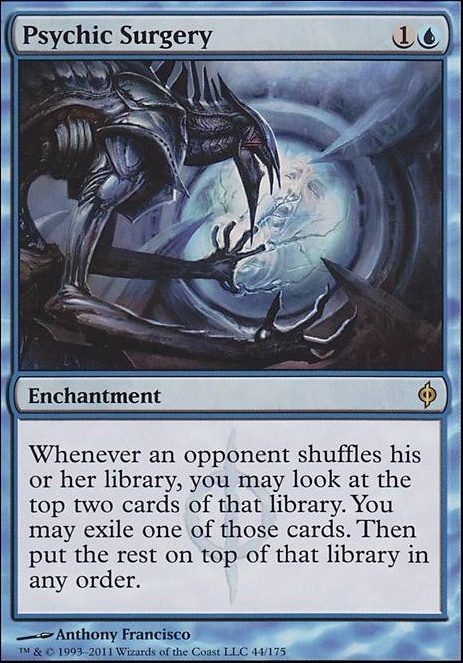 I much prefer Sage of Epityr to Omenspeaker- dropping things lower in the library to later be shuffled away is fine when it just costs 1. There are also some interesting tech options, depending on what direction you take the build.Captivating Glance Cloudform Hinder Mitotic Manipulation etc. Take a look at Lantern of Insight control for a good set of tools. 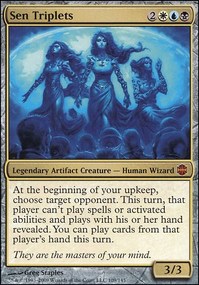 Psychic Surgery/Cosi's Trickster/Vortex Elemental can be a spicy and powerful budget combination. There are also some fun Skill Borrower brews to check out too.